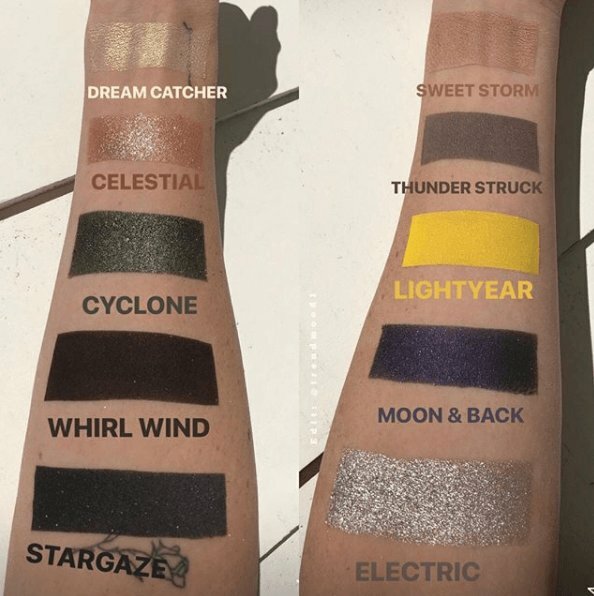 Kylie Cosmetics is launching a her massive Weather Collection on Wednesday, 2.28! As I’m sure most of you already know, Kylie recently had her baby Stormi (we are still thinking this name is very questionable, tbh) and this collection is dedicated to her! It’s a big BIG collection so we figured we would just focus on the eyeshadow palettes because… well… we are obsessed with eyeshadow palettes! Obv! 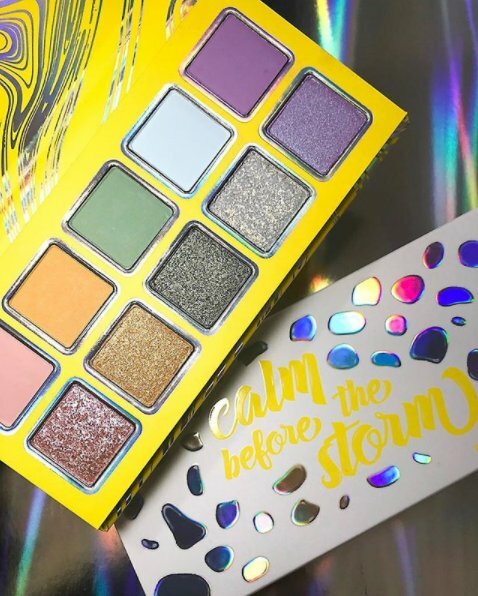 The collection includes two palettes: Calm Before the Storm and Eye of the Storm. Each palette includes 8 shades but the pricing hasn’t been released yet. Our best guess is somewhere between $35 and $45 based on previous palettes. We have to admit, we love the idea of creating an entire makeup collection inspired by/in honor of your brand new little baby. Has any other brand ever done that before?? Please let us know if so because we can’t think of any. This is an incredibly adorable idea, we totally give Kylie so much credit for doing this. We also totally dig these palettes! 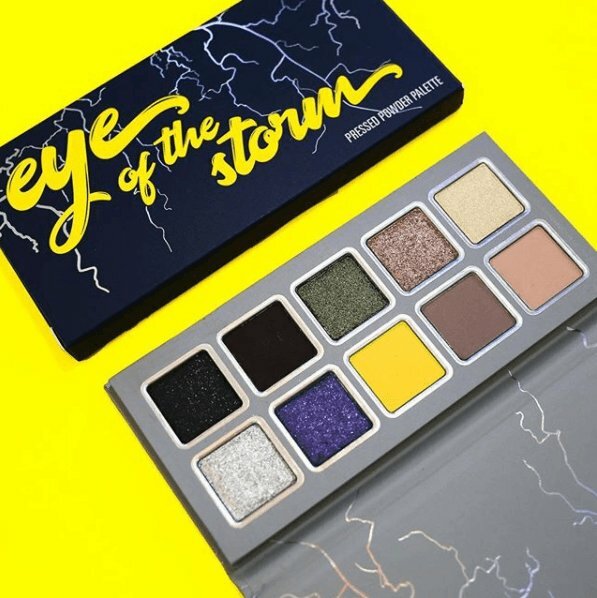 Eye of the Storm is clearly the more smokey, grungy of the two palettes. We love the cool transition tones and that purple shimmer is really catching our eye! Electric looks especially metallic! That would be so gorgeous on the lid sandwiched between Cyclone in a halo-eye look, am I right?? But honestly, if I had to choose, I think Calm Before the Storm is way more up my alley. The yellow packaging is totally selling me! And the pastel tones have reallllyyyyyy got me thinking of spring! Right?? We love hw it’s almost as if each matte shade along the top has a corresponding, almost matching shimmer shade right below it! Not sure if that was intentional but we totally think it gives this palette a really balanced vibe. It’s definitely not for those looking for a deep, sultry look but that is what makes it so eye-catching! It has spring written all over it! Which one is your favorite? ?